Derivatives of lumiracoxib were synthesised to understand the contribution of different chemical groups to toxicity. The compounds were tested in human liver cells, and also with and without the presence of glutathione (GSH, an anti-oxidant), in human liver microsomes (HLMs). Changes to compound stability (via formation of oxidised products, -OH), chemical reactivity, and metabolite formation were observed and they allude to the mechanism for causing toxicity. Credit: Ho Han Kiat, published in Chemical Research in Toxicology, 2016. The process of drug design to improve therapeutic activities involves making small chemical changes to drug molecules. However, it is a less known fact that the same alterations may worsen drug toxicities as an unintended effect. This means that these drugs, modified to enhance treatment, may instead be undesirable for the patient. 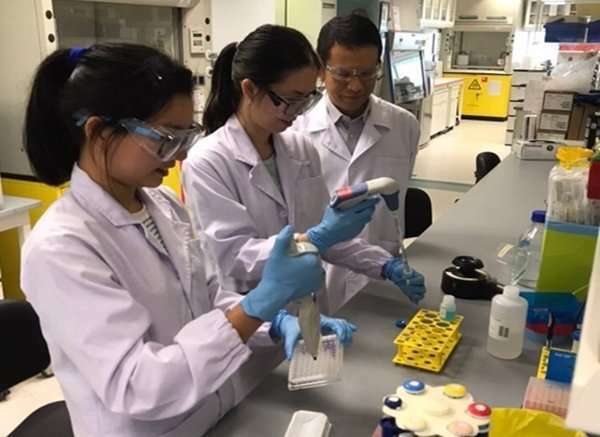 A research team led by Prof HO Han Kiat from the Department of Pharmacy, NUS has discovered the mechanisms involved when minor chemical modifications such as a single substitution of a small halogen or alkyl group (functional groups in chemical structures) of pharmaceutical drugs alters the toxicity profile of the drugs. Chemical modifications can cause the drug to have both beneficial and adverse effects on patients. In certain situations, these two effects can be dissociated from each other. By understanding the specific mechanisms contributing to the toxicity, pharmaceutical scientists can modify the chemical structure so as to develop drugs which are more effective and safe. 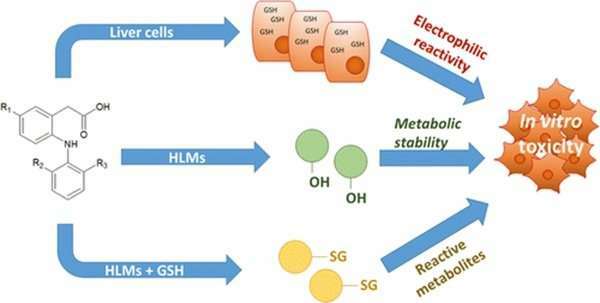 Using in vitro experiments with human liver cells, the team found that minor chemical modifications can affect the stability of drug compounds as these alter the generation of reactive metabolites. Many of the resulting metabolites may disrupt the usual functions of proteins, DNAs and other biological molecules. As part of the research, the team used a pair of anti-inflammatory drugs, diclofenac and lumiracoxib, that differ minimally in terms of structure, but exhibit profound differences in terms of toxicity. Diclofenac is a relatively safe painkiller still in wide usage today, while lumiracoxib has been withdrawn from the market due to severe liver toxicity. Many other compounds with small chemical changes were also synthesised and evaluated for their potential to cause toxicity and how they may be metabolised differently in liver cells. Prof Ho said, "The research findings show that it is important to examine the potential toxicological impact when making minor chemical changes to pharmaceutical drugs. It also provides a methodology to guide future work in other compounds."